Gear is something you don’t think in the beginning when you are interested in simplifying your life. Gear makes most minimalist excited and stress out, we want to use gear, not obsessing about it. The simple idea of having to purchase items should stress out anybody, more stuff to store around the house and maintain. Hopefully the gear you’ll need for a day hike or a overnight hike is all you need for a lifetime. Purchasing ultralight second hand gear is most recommended, finding and researching the correct gear is never easy, making decisions normally comes down to the price instead of the function. For a short hike, most ultralight hikers get the essentials, shirt, pants, small backpack, water filter, food, jacket and water bottles. For a overnight hike or through hike, the list may vary depending in your style of hiking. Ultralight is expensive but recommended, getting just the essentials is a must. Any items label as “just in case” should be remove immediately from the list. Hikers should not start with overnight backpacking excursions, instead, a few day hikes should be in the list to start learning about the gear needed. Anything you don’t use should be returned or never purchased. The best gear is the one that you don’t buy it and don’t needed. You’ll meet many hikers with gear they have never used and they currently carry on their day hikes. Does not mean to avoid being prepared, you always should carry the emergency items in your backpack; first aid kit, flashlight, water filter and a poncho for the rain. Purchasing those items from REI or Amazon, allows you to return any item you haven’t use or that didn’t work well. Having the minimum amount of gear will help you reach the ultralight goal instead of purchasing very light items. Understanding about the activity and the area will help you to make better decisions on your gear. Experience will give also help you avoid purchasing items you don’t need. The most experience hikers carry the less weight. In the duration of your hiking life, you will replace most of the items you purchased in the beginning of your journey to connect with the earth around you. At the end of the day if you stress too much about gear, you should try to go hiking using items around the house. Living a life outdoors should be a purposely relax life. Being able to enjoy simple moments connected to nature and people around you away from distractions and boring routines. Think about what you need and not what other people wants you to have. When you are alone in the woods, doesn’t matter if the jacket is from North Face or Patagonia. Depending on your values than may be more after you. Looking for an ethically build gear is hard to find. When supporting ethical gear companies aligns with your values, makes the decision easier and sometimes cheaper in the long run. Whatever you decide, the important part is to go hiking. Any hiker out there dreams on the year they’ll be hiking the pacific crest trail also known as the PCT. 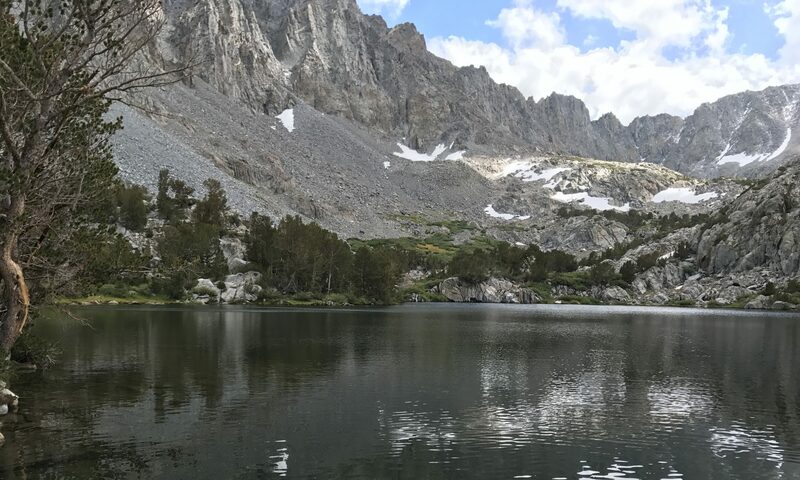 Some hikers want to do the entire trail, others just want to do a section or two of the PCT, mainly in the Sierras where the PCT is famous for. The trail is a journey of a lifetime that runs from the Mexican border all the way to Canada. A way of living intentional is finding a way and focusing your life in what really matters to you, focusing in what makes you happy and lets you grow. Living your life in a loop like most people, feels secure and normal, but there is nothing intentional nor fulfilling for some people. Living in a loop removes most of the thought and purpose. We feel secure inside a groundhog day, its all we know and need most of the time. When living the loop for 5 months or so may feel scary, yet for most people just the planning is exciting, the hardest part is the first step. Having too many goals can be a problem as then we don’t accomplish any of them, but setting a year in the future where you are planning to hike a section or the entire PCT can be very helpful. There are a many steps to think and plan toward that goal. Mainly saving the money that will take to live 5 month on the trail. For all the blogs and post from hikers I read the past 6 years, the average of pocket money is around $2000 to $3000 as well as having any recurring expense that you could not remove from your life, most of the time is health insurance and a cell phone data plan. Rent, car payment, car insurance, groceries and food and debt should be all gone by now and you are ready to exit the loop. There is a minimum of gear that you’ll need as well, most hikers found REI used gear day the best resource to purchase the gear you’ll need. I would recommend to purchase as ultralight as your budget allows you. I have experience in the section trails experience hikers having around $1000 in gear and most used gear as could need to be replace while hiking. Hiking shoes and socks are the first one to go, like tires on a car, they need to be replaced after a few miles. The trail life isn’t for everybody, living an intentional life does not mean to exit the loop and living like a homeless person. For some people the idea is very exciting, for others their intentional life is not even close to a hiking life. Its difficult to understand the later people, but everybody’s goals and wishes are different. This is only a recipe that works for some small number of people, and idea that makes sense. Waking up every day to a destination unknown where beauty is all around and nature is always on sight, a place away from the cubicle, computer screens and water coolers. A place where only you can make the decisions of going right or left and people slowdown to a deeper conversation. Where people become fast friends and memories are forever. When you stuck on a loop life, everyday is pretty much the same, so there are no memories of everyday occurrences unless that day you had a out of ordinary situation. On the trail, everyday is a memory, you also remember the food you ate, the people that you meet and the things you saw while hiking on the trail. Most hikers talk fondly of the PCT after years, they still remember each section of the trail and the people they met. The most important is, they remember the person they were before the trail, they grow more on that experience than other their lifetime, a trail well lived is a trail where the hiker overcomes the bad situations that are unavoidable unfortunately. Quitting is an option that when taken is always regretful. Never met a hiker that quit that didn’t regretted, yet sometimes due health, injury or family emergencies, those are also never unavoidable. Most of the PCT hikers I met, including section hikers, after the trail, their focus is to go back into the trail or another trail. There is a mind switch that happens to hikers where being hiking is a way of life. The trail keeps calling them, and the winters working on an office are just a way to collect funds and daydreams for another trail. There are many resources now for PCT hikers, most of the resupply points are in any book or digital print, maps can be found on apps for your phone online. All the information and experience from other hikers are in journals and blogs around the Internet. Most of the unknown has been remove, still the adventure is yours, the hike is also for you to customize. There is no right or wrong way, you do not need to do the whole PCT, hike your own hike means to do what you want to do and how you want to do it, don’t follow the convention, if you want to skip the desert area, you should and must. At the end is your life and experience, nobody else and nobody else will understand. You are doing this for yourself and yourself alone. Hike your own hike. For the past decade, there has been an increase of work force that is interested in living on a constant moving pattern. Nomadic living if you will. Traveling in 4 wheels and having those being their house while they work remotely and spend their life enjoying the outdoors. The concept of having a residence in a static location is not acceptable for this people. The concept of being able to have a residence on the move is actually right now difficult, in some countries. But I do believe in the near future will make more sense instead of keep building houses in neighborhoods. Since the release of Model X, I have been trying to create a concept where an extended framework like that may work in creating a tiny house inside a Tesla vehicle that accommodates one person, or a couple or even a family (in a bigger framework) I am not thinking about an RV. I’m talking about a tiny house with autonomous driving, and autonomous driving is actually the most important part of the concept. Without it, the concept may not work. The problem about living on a RV or Vanlife, etc is that expense of sleeping. In the US for example, you cannot just park and sleep whatever you want. Campings have an expense and sometimes are full. If the vehicle can drive autonomous during night to get to the next destination, wherever that place be, will fix the issue of parking to sleep as well as the owner won’t need to drive during the day and will be able to work during the day at the destination: (Yosemite, the beach, coffee shop parking lot, New York city street, a National Forest, customer site for a visit) Or a supercharger. I actually hope the autonomous cars will be able to charge themselves to do that during the night so the vehicle is change by the morning. To be flexible, the owner can actually work during the night or day while the vehicle drives to Patagonia for that matter. The nomadic tiny house will wake up the driver that is sleeping in a very comfy bed 30 minutes before arriving to the destination, if desired, those vehicles will drive all during the night when the peak hours are low and they can go to a lower speed or take longer routes if needed to make the arrival time, the desired time. Or stop to charge autonomously. By having the vehicle be complete autonomous means more inside space, no need of driver chair or windshield. That space can be a transformable living room, bedroom. The vehicle inside needs to be convertible during the day and night, the day is an office, living room, dinning room, kitchen, at night is a different beds to accommodate a few people and a living room for people working during the night as well. I think this simple concept for people that wants this kind of life, and the numbers are increasing rapidly. Instead of spending half a million dollars for a house, people will spend half of that to have the freedom with the same commodities of a house and the flexibility of a vehicle. Just imagine the commuting time in the morning if less people are in the road at that time. Instead of buying a house and a vehicle to get to work, you just need a nomadic tiny house with solar panels on top and access to a charger. More and more young people, and older people now as well, are living this way, at this time, they buy a van or an RV and travel to long destinations down the trans-panama highway and back, or all around Europe, living outdoors and working remotely. Main problem is finding places to park, technology is helping them sharing information of places, other problem as stated before is having to drive during the day and working in the mornings and at night or having to stay a few months in the same location due work and deadlines. The vans and RVs are not ideal for full time living, people are replicating houses instead of re-inventing the concept of a tiny house (modular living) Campings are for people on vacation. I have the concept as well as chargers in the wild, don’t need superchargers there, just solar panels to charge the vehicle in a few days/weeks. Campsites for long periods of time in rural places with just a simple plug for people to rent for a long period of time. Instead of creating superchargers by freeways, create a campsite with internet, electricity and water closer to NP where people with vehicles can park for a few days or months and pay rent while they are connected. I think the world is ready to move away from the static house to nomadic life. Living with a purpose and destinations. People go on vacation before they want something different of the same old city. Living nomadic means you are always on vacation, less 8 to 10 hours a day while you work remotely. I see ultralight backpacking the same that being a minimalist. I want to go through life with everything I need but without having to carry something heavy in my back. Ultralight backpacking just brings everything that you are going to need without the “just in case” items. The items you’ll need are more expensive but they have a purpose and are durable. They have an intention and they keep you alive. Put that practice in your life, do you really need a car? So make sure you get a car that you have pay in cash. Do you need a sweater? Don’t need to buy a few, but a good quality one that will keep you warm and will last you forever. In all the items I purchase in my life, I make sure they are needed, I can use it forever and they are of a good quality. At the same time, when I stopped using an object for more than 6 months, the object has to go, does not fill an empty space in my garage, my closet nor my life. When my favorite and only pajamas broke, I make sure I fix them. When my jacket rips, I do take it to be fixed as well. Good quality items will last you longer and will allow you to avoid having replacements in the closet waiting. You can only wear one jacket at the time. I personally have 7 t-shirts, 5 long pants and 2 short. No more to worry or use space. Helps me to know what I am going to wear that day and don’t have to think or worry about purchasing, shopping and expenses. This is a map for the rest of the things you use. Furniture, car, accounts, house and garage. Those steps have worked for me, doesn’t mean that will work for you. I can only share what has been working for me and hope it works for other people. Minimize your expenses, you don’t need the new gadget, take a month and don’t need to create a budget, just track all the expenses. After cut all expenses that are not bills or food. That’s your budget. Next month, go over your expenses and cut them all to the minimum. Make one goal at the time, plan and adventure. Don’t create bucket lists or go over long lists of goals. Just work in one goal at the time. Take time off and go outdoors, spend time in the wild and clear your head. Find beauty. Prepare your backpack with all your ultralight gear and set to your dreamed adventure. Now that your head is clear and relax, start thinking of what makes you happy and what makes you stressed. Avoid chasing other people’s ideas of money, cars and houses. Sometimes, a van life and a destination is all you need. Living a life with intention and values does not mean living a life without anything. Loving outdoors means also loving the environment and try to avoid causing any harm or at least minimize any harm to the environment. Year of refueling a car with petrol makes you want to go completely electric using electricity from a clean source like solar or wind. Those because values eventually and goal to accomplish. Wanting to go fuel free, oil free and use a vehicle that is cleaner to the environment than a internal combustion engine car because quickly a difficult goal to get to. Electric vehicles are not completely clean, batteries are not the best thing for the environment, yet they are better than using a car powered by fuel. Again minimize the harm to the environment as much as possible. Trying for years to avoid driving anything that uses fuel is hard, the goal is not purchasing gasoline in those gas stations found in every street corner. Planning the move to a greener vehicle is not easy. But the rewards after are incredible. Everything about gasoline is going against a life outdoors and green infrastructure, enjoying outdoors also means protecting it, finding renewable energy in the sun and the wind is living with purpose, even though is just easier to stop at a gas station and refuel. Purchasing a vehicle with just electric battery can be scary as well, as is not as green and clean as we expect, yet, if you keep that car for as long as the vehicle can go and then recycle the battery, will be way cleaner than using gasoline. A company that understands about renewable energy is Tesla and their goals and values to remove ICE vehicles from the road seems to align to living a cleaner life. Here it is, the most stressful part of life, everybody needs money. We gather money every month and we spend the same money as fast as we get it. There is a circle hard to break, society has been build so we feel pressure to buy items that we don’t really need but we just want. Most of the money goes to expenses of items we wanted that we need to pay for. The work to get money always requires more money, it seems like the impossible mission. Living a life without money, well is maybe possible but hard. However, reducing your expenses to a minimum is without any doubt hard but very rewarding. The concept of listing all the expenses every month and then start seeing what all the money goes is an eye opening. Nothing more gratifying than removing expenses that you do not need. The activity is call a budget, I don’t really like that word, I find that is to minimize your expense and put them in autopilot. Every month go over each one and ask yourself if you need it or you wanted, then if you needed, find a way to cut the expense to a minimal. After a few months or even years, you’ll be amazed the control you have over your fixed expenses. Living a life with a purpose means as well to keep the money you make. More money saved means more choices for your future. Allows you to make better decisions. If you don’t live with a purpose, there’s no point to the life you’ve been given. You’re on this Earth for a reason, and whether you know what that reason is or not, it’s there, it just needs some looking into. Hiking Half Dome was a family choice. In the beginning, we were planning it for fun and exercise and to test our hiking skills for future rendezvous, but in the end it meant more to us than we would have ever known. Why did we choose to initiate this hike? For no reason that presented itself immediately. We still don’t know what our purposes are– we haven’t lived long enough to discover them yet. But Half Dome–the beautiful rock with an amazing hike–has a purpose already. We found it to be helping other’s take a break from our buzzing world and to help them find out who they are. It may differ for every person, but in the end, every journey is something that makes you, more you; and that boils down to the very least: their purpose. Minimalism is a concept many people overlook. It’s not something that arranges why you do or don’t have something or why you should or shouldn’t do something. It’s a concept based on the idea of loving things that treat you right and make you happy and leaving the things that don’t, regardless if it’s people or realistic objects. Why focus on negative things when they only complicate your life? There’s really no point and it’s only stressing and exhausting, so just toss it. Toss what you don’t need and don’t think about it. Drop everything you are doing, look at your calendar and find the next time you’ll have free days, then start planning an adventure.